Rich, indeed! (I made a funny!) 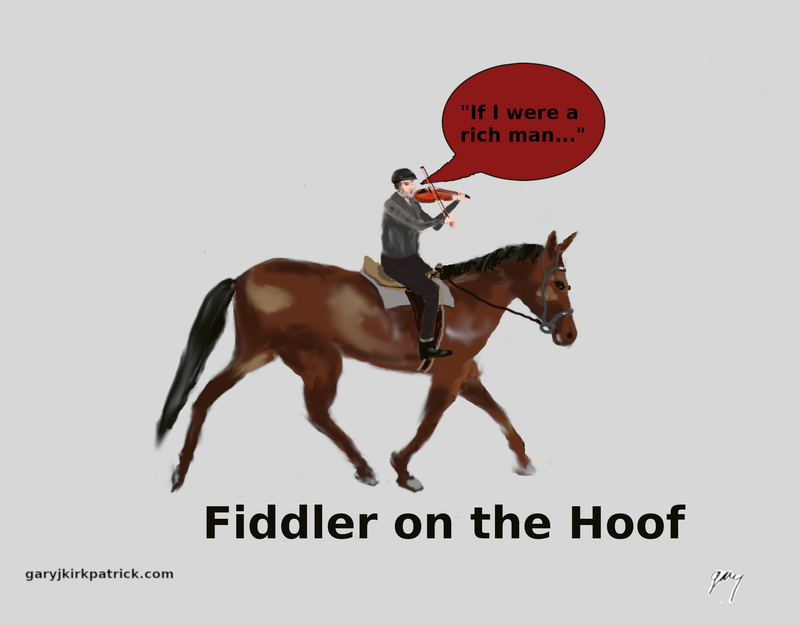 Digital painting of a horse, ridden by the fiddler.